Two Bedouins arrested for stealing IDF uniforms, bullet-proof vests, jackets, jerrycan, and other army equipment. Police nabbed two suspected Bedouin thieves recently, after the two stole IDF equipment and uniforms from an army base in southern Israel. The two suspects are residents of Bir Hadaj, an illegal Bedouin settlement south of Beer Sheva. According to authorities, the two stole the equipment and uniforms from an army facility near the Tzelim base, southwest of Beer Sheva. The items were reportedly taken during a series of break-ins. Roughly a month ago, a complaint was filed with police regarding the theft of IDF equipment from an army vehicle near Tzelim. Army files, money, and personal documents were all stolen from the vehicle. Investigators eventually tracked down one of the suspects, a man in his 20s, they believed was linked to the theft. 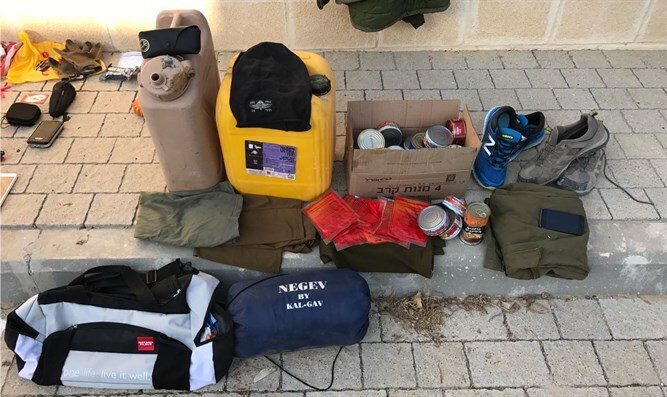 During a search of his home, large quantities of stolen IDF property were found, including uniforms, jackets, a jerrycan, cell phone chargers, shoes and other clothes, army-issued pocketknives, among other items. The suspect claimed during interrogation that he had found all the items, including the uniforms, in the garbage. On Wednesday, the suspect was brought to a Beer Sheva court, which extended his arrest by three days. Authorities say other individuals were involved in the thefts, and that one additional suspect had been taken into custody. The second suspect will be brought before a judge on Thursday for an extension of his arrest.